Question of the day: Is the Anping Tree House a tree with a house in it or a house with a tree in it? 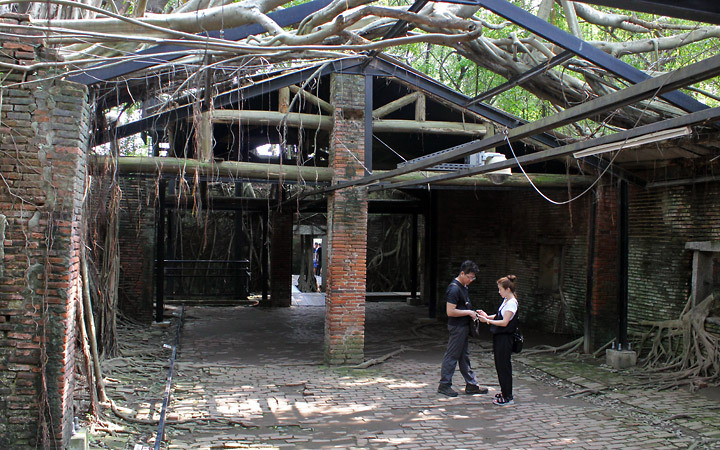 Welcome to the Anping Tree House. 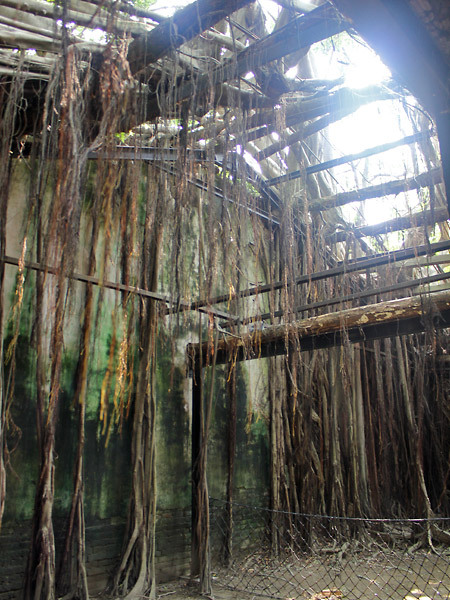 We’re not really sure what awaits us here at the Anping Tree House. Dangling, and also caged off to protect its growth. The tree roots are wrapped under and between window frames. It makes you wonder how long it takes for them to do this. The root climb over and on the roof. Tree branches growing out from the top. If there is one word to describe what I see, it would be: possessed. So, would you call this tree house a tree with a house in it or a house with a tree in it?